Isabel Cuervo has lived in Sunnyside since she was six, but had to travel halfway around the world before she could appreciate the neighborhood. Growing up as the daughter of a Colombian single mother in a one-bedroom apartment wasn’t easy. Isabel was not allowed to play on the street or walk to school by herself because her mother was “overprotective.” She often dreamed of owning one of the “pretty, little houses” beyond Skillman Avenue, the virtual border that still largely separates the working class from the middle class. 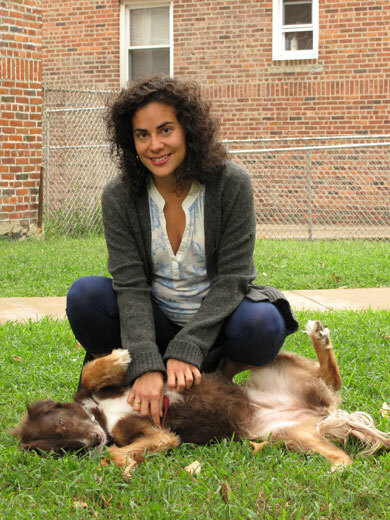 After high school, Isabel began studying different architects’ approaches to low-income housing at Barnard College and later enrolled in a Master’s program for environmental psychology in Spain. Isabel’s doctoral thesis combines her two main interests, traveling and low-income housing. She recently spent three months in Bogotá, Colombia, interviewing key stakeholders of low-income housing, including residents, developers and representatives of city agencies. She hopes her research will contribute to a better understanding between these divided parties and improve the living conditions of working class families. 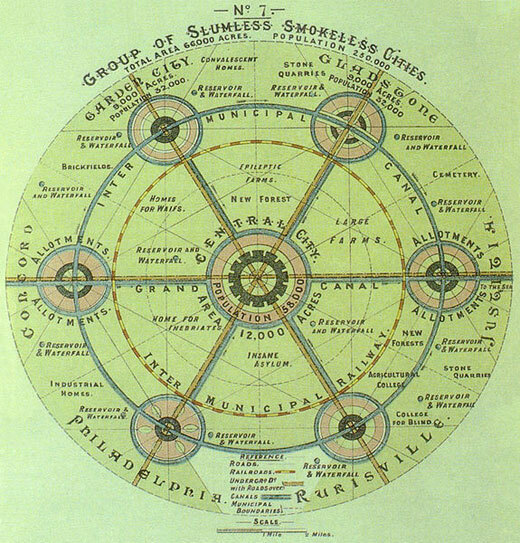 Built between 1924 and 1929, Sunnyside Gardens was modeled after the English Garden Cities of architect Ebenezer Howard. The brick row houses share more or less feral courtyards in between blocks. Merry Chang’s father chose the spelling of his daughter’s first name to counteract the popular Chinese belief that a baby girl is worth less than a baby boy. She lives up to her name as an adult, perhaps partly because in 1972 her father showed her an ad from a Chinese newspaper for a rental in Sunnyside Gardens. Raised in the Bronx, Merry had only been to Queens to visit the 1964 World Fair in Flushing and had never even heard of Sunnyside. But when she visited the apartment she was awestruck. It took Merry 20 years to get a down payment together for her own house and to find something that suited her needs. “Even back then,” she says, “the houses were rather dear here.” Coincidentally, she ended up on the same block as her old apartment. Merry loves Sunnyside so much that she didn’t even consider leaving the neighborhood when her company relocated to Westchester, offering her generous relocation allowances. To this day she endures a daily four-hour commute. 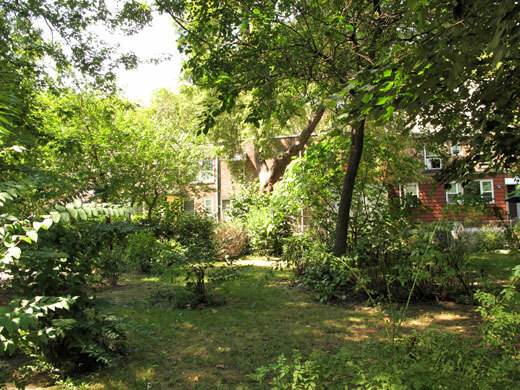 Over the years, the original Sunnyside Gardens became compromised by residents who painted over the charming brick facades, put up chain-link fences, and cut down the old sycamore trees to install driveways and carports in their front yards. 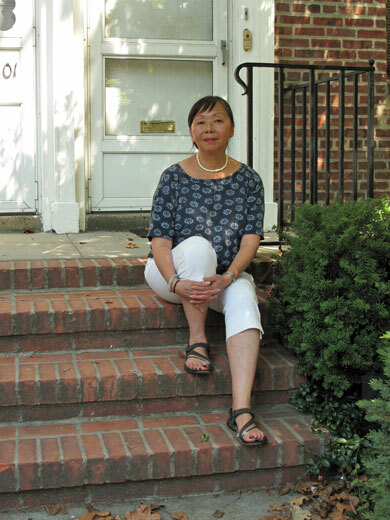 Merry, who felt strongly about saving the development’s original concept and design, became an activist with the Sunnyside Gardens Preservation Alliance. Thanks to the Alliance’s efforts the neighborhood was landmarked in 2007. During the long and contentious landmarking process, Merry learned about her neighborhood’s progressive architectural concept. 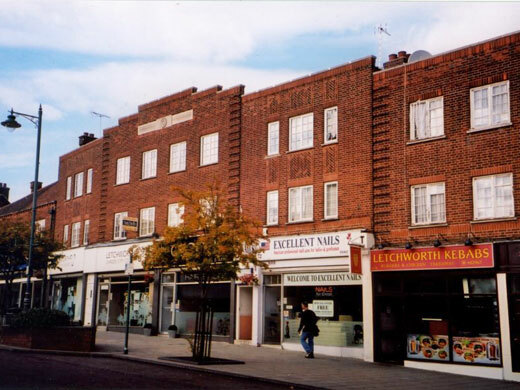 Built between 1924 and 1929, Sunnyside Gardens was modeled after Great Britain’s first “Garden Cities.” The Letchworth and Welwyn Garden Cities—from 1903 and 1920, respectively—were planned by architect Ebenezer Howard. His idea was to create a balanced and humane relationship between residences, industry and nature. The residents were to benefit from the advantages of the city while being spared noise, pollution and dark and cramped living spaces. 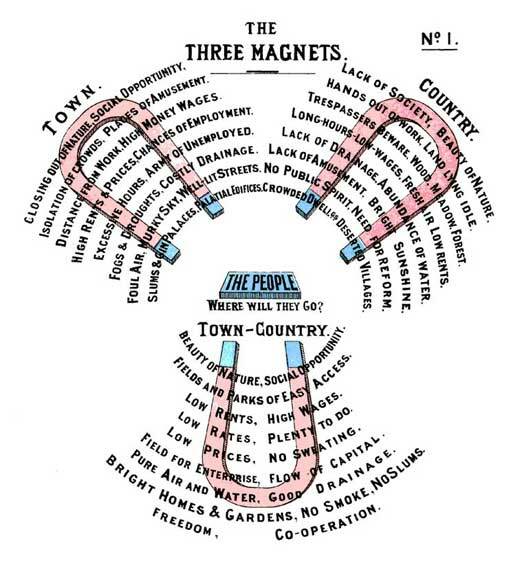 Inspired by Howard’s Garden City concept and his “Three Magnet” diagram, architects Clarence Stein and Henry Wright planned 600 row houses in Sunnyside in a homogenous style. The one-, two- and three-family houses face each other across big open courtyards in the center of the blocks. 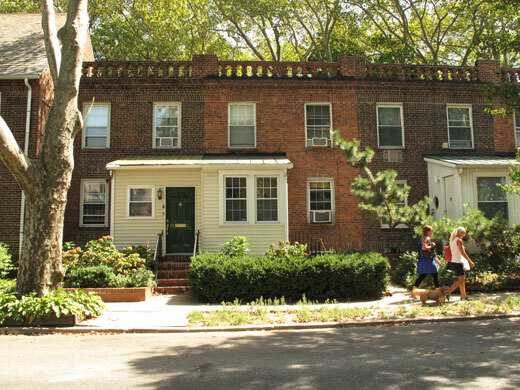 Like Howard, Stein and Wright wanted the residents of Sunnyside Garden to live with each other rather than next to each other. 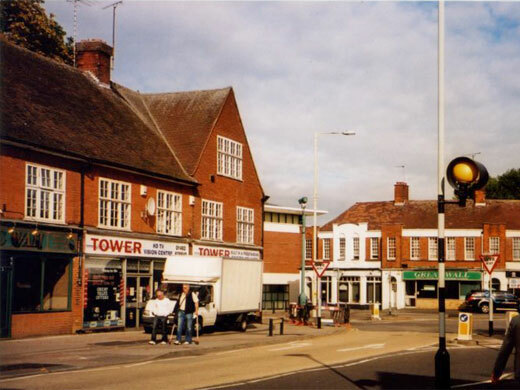 Infatuated with her neighborhood’s rich history, its greenery and communal atmosphere, in 2003 Merry travelled to the British cities after which Sunnyside was modeled. She asked the cab driver to bring her to “the old part of town” and got lost “in an ancient neighborhood,” but eventually met someone who happened to share her passion for Garden Cities and who showed her around. Merry tells this amusing lost-and-found story in the podcast.